Wind is a great source of renewable energy power. Wind is the fastest growing source of alternative energy worldwide because it has a proven and reliable technology. Wind power is an environmentally friendly, green energy source. Wind occurs naturally on earth as a result of the Earth’s tilt, spin, the heating from the sun and varying temperatures on the earth’s surface. This all causes air to move around the planet. Wind energy does not contribute to air or water pollution, nor does it leak fossil fuel oils. Care must be taken when planning large wind utility plants to be sensitive to migrating birds and mammals. For home use, this is not an issue. 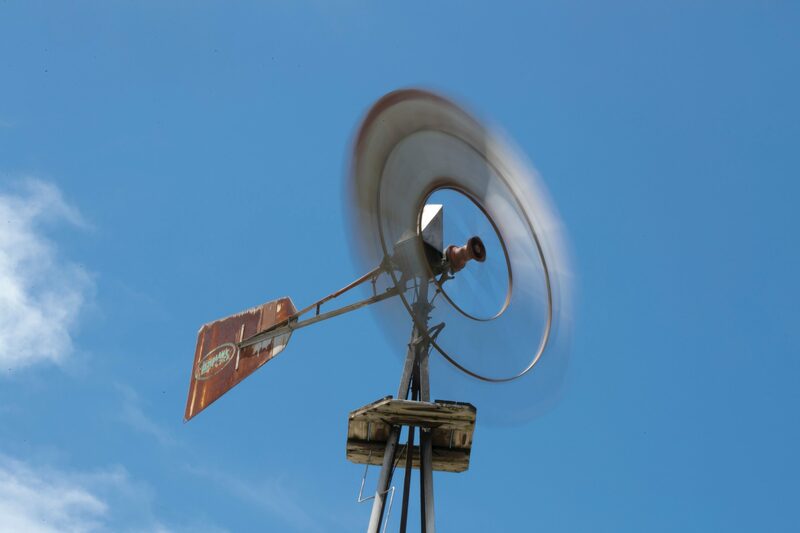 Harnessing the wind for power is a very old technique that was first used in ancient civilizations and became popular in Europe during the Middle Ages. These early windmills had sails instead of blades. Modern wind turbines are structured similarly to the traditional windmill but that’s as far as the resemblance goes. Turbines are the part of the wind machine that turns. They are sleek and aerodynamic in order to better catch the wind and convert it into electricity. Wind Power depends on the amount of air (volume), speed the air travels (velocity) and the mass of air (density). These things must work together to provide the amount of push the turbine needs to turn. Wind turbines average 35% – 45 % efficiency. Wind turbines are most often measured in kilowatts or kW. For example, a standard 100-watt light bulb uses one kWh after ten hours of use. Wind industry experts say that 10 kW system will generate about 10,000 kWh per year, which is what the average American home uses. 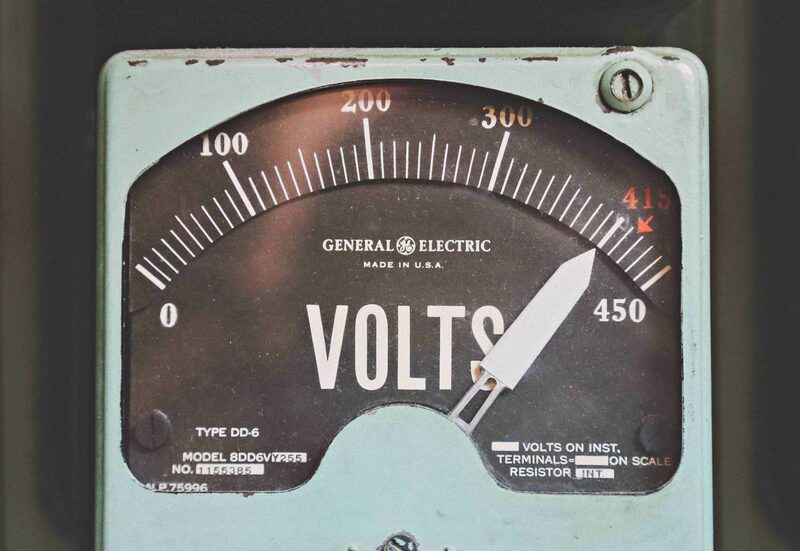 Determining your electrical needs and usage is important. If you are going to live “off-grid” and not be attached to conventional electricity then you need to work on reducing your level of energy consumption. You can do this by purchasing energy star appliances. Just switching to Energy Star LED lightbulbs will save you considerable amounts of electricity. Today’s turbines are equipped with typically three blades and a nacelle which houses the motor and gearbox. They are typically on a horizontal axis in relationship to the single steel pole which holds them up. The height of the pole is important in how much wind energy the unit can process. Larger kilowatt (kW) systems require heavy steel poles of around 250 feet. Smaller systems can use a shorter pole and microsystems are meant to be mounted on cabins or RV’s. The blades on the turbine are an important consideration. Many are fiber-reinforced plastics but metal ones are also available. How they are mounted and fixed is important to their efficiency. They come fixed pitch, either twisted/tapered, or straight. All wind energy units contain a generator to change the kinetic energy from the wind to mechanical energy which can be used for electricity. The generators are designed to be simple and reliable with few moving parts so that little regular maintenance required. Wind turbines are becoming more efficient and working at lower speeds. Smaller units designed for single applications are very cost effective. Larger systems that are meant to power a home need more wind speed. Not everywhere is suitable for wind power. Wind turbines need a consistent wind speed of 6 – 9 miles per hour. To evaluate your area in the United States check out the Wind Exchange website. You can measure your wind speed with the use of an anemometer. The HOLDPEAK 866B Digital Anemometer measures wind speed, temperature and wind chill. It has a range: 0.3-30m/s and accuracy: 0.1dgts. Take measurements on a daily schedule for several weeks to determine your average wind speed. There are numerous types of wind power systems which vary depending on the amount of blades and the tilt of the axis. Axis can be vertical or horizontal. Horizontal blades are more popular and the type you typically see. Advantages are that the rotors are upwind. Upwind turbines have the wind facing the turbine. Are more efficient but harder to maintain. Needs to have a rigid hub which is away from the tower. Small vertical axes turbines are attractive and made to fit on RV’s or boats. This one made by Wonderful Online has a 400Watt DC12V generator and four with optimized aerodynamic blades. The blades are made for low wind start up to be more energy efficient. Small turbines can have a downwind turbine which means the wind hits them from the back. These are most often seen on smaller turbines. They can be more flexible in the rotor and the generator but still need a rigid tower. Small systems are great for home and farm applications. A small wind energy system can provide you with a practical and economical source of electricity. When considering a wind power system think about the amount of space you have and where you will put your turbine. If you are in a subdivision or more urban area you need to make sure that your local zoning codes or covenants allow wind turbines. Mini turbines are designed for charging batteries or running lights in an RV or cabin. They run between 20 – 50 kW. If you are handy and want to DIY and make the blades you can just buy the generator to power your system. The MarsRock 600r/m 100W 12V or 24V Permanent Magnet Generator AC Alternator for Vertical or Horizontal Wind Turbine 100W Wind Generator (12V). This small generator has impressive power and is gearless, uses direct -drive, and has a low rev rare earth Permanent Magnet Generator which is easy and safe for operating and maintenance. Wind energy is growing in popularity worldwide. And no doubt because the costs of running a wind power system have come down considerably. The average cost of industrial wind power is 8.2 cents per kilowatt, compared to coal-burning plants at 11 cents per kilowatt. Residential costs and system have also come down making it a desirable option for new construction. One of your first considerations will be to decide if you want to be grid tied or off the grid. Grid-Tied means that you are still connected to your local electric power company. Your wind energy system would supplement your power needs. So your home would use available electricity from your wind turbine first. If your turbine was not producing electric at the moment, say it was a balmy day or you had all your appliances running, then your conventional electric would kick in and give you power. Depending on your location and your power company, you can sometimes earn money from your grid-tied system. This would happen if your wind turbine produced more electricity then what your house used. Then your electric company would buy back the excess electric and give you a credit or a check. It is worthwhile to contact your electric company and find out their policies on grid-tied systems. 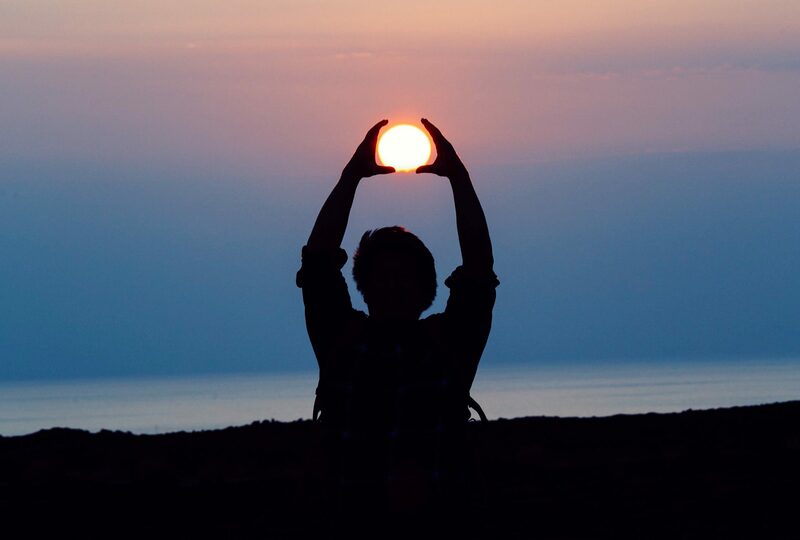 Off-grid means that you are totally independent of your conventional electric company. This means you produce all of your own electricity needs. People chose this option for many reasons. They may desire to be independent and not rely on the electric company or government. 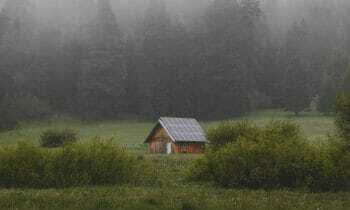 Or their home may be in a remote area that is not served by power lines or too expensive to have them run. One advantage of being off grid is no monthly bill! Wind systems can reduce your electric bill by 50 – 90 %, especially if your average electricity bills are $150 per month or more. If your property is in a remote location without easy access to utility lines wind may be a viable option. Wind energy is an investment so you do need to be comfortable with long-term investments. Remember that if you are off grid and you invest in wind energy you will have no monthly bill. Once your system is paid for you get your electric for free. Check out the Wind Exchange website for information on your area. Modern turbines are increasing in efficiency but are still less than 60%. 59% is the best that a larger conventional wind power unit can accomplish and the smaller turbines run 30 – 40%. While this may seem low the overall cost savings often make wind worthwhile. If you know a unit’s capacity and efficiency factors, you can figure out the estimated annual output. Use this formula by multiplying year x day x capacity x-factors to get kW per year. Remember this is the ideal. In real life, you have less or more wind on any given day. You can use the NREL wind maps to adjust your time figures for a more accurate location-specific figure. The size of your wind system depends on what you want to do with it. Do you want to supplement your power needs and reduce your electric bill or do you want to have the wind provide all your electrical needs? Small turbines range in size from 20 watts to 100 kilowatts (kW). The smaller or “micro” (20- to 500-watt) turbines are used in a variety of applications such as charging batteries for recreational vehicles and sailboats. Small turbines that produce 3 – 10 kw are great for single application jobs such as pumping water from a well or running lights in a remote cabin. Your return on investment (ROI) basically is the wind turbine cost-effective value. Will you get your monies worth out of it. Keep in mind that the federal government and many states offer tax rebates for installing renewable energy in your home. Small Turbines are those up to 10 kW are often installed in “rural residential” on-grid and off-grid applications. 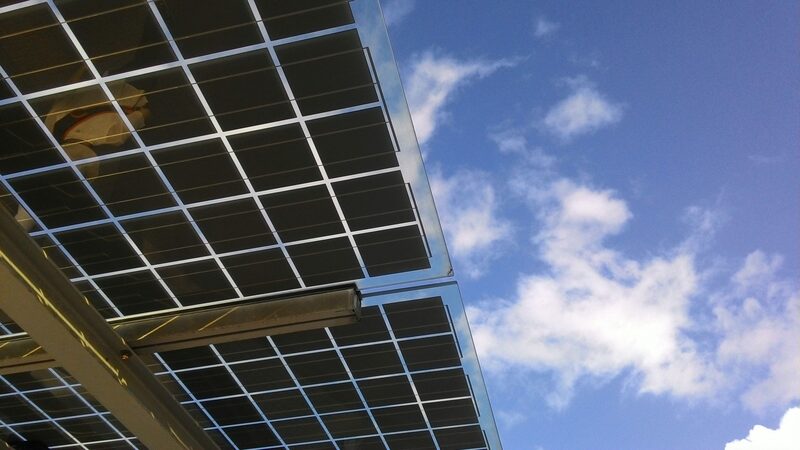 The average investment is $2,500-$8,000/kW for purchase and installation. Small systems are designed for reliability and low maintenance so that you do not have to have a lot of mechanical experience. Small systems normally require an average wind speed of nine miles per hour and have an ROI value of approximately $0.06 – $0.26 per kWh. Installation of a wind energy system is the most detailed and expensive aspect. Picking a location for the tower and deciding how to run the electrical cables to your home is critical to the success of your project. The first thing to consider when installing a wind system is where to locate the tower. The taller towers need to be “planted” quite deep and cemented into the ground. Guy wires are then attached to provided stability to the steel pole. This can be a DIY project or you can hire an installer. In most areas, you will be required to state or city zoning laws to hire a licensed electrician to connect the power lines to your home. Purchasing a kit can be a very economical and easy way to get into wind energy. The nice thing about kits is that you have all the components of the turbine and generator for easy to put together installation. Pole mounted kits often require you to have a mounted pole. The ECO LLC 400W DC 12V/24V Wind Turbine Generator does not include the pole or battery. This is a great starter kit for people wanting to get going with wind power. It has a low wind speed startup so is great if you have lower then average wind capacity. In addition, the tower height requirement is only 15 – 30 feet high. Not everyone has access to the perfect conditions. If your wind and or solar requirements don’t match the output guidelines you might consider a hybrid system. The ECO LLC 850W Hybrid Solar-Wind Kit gives you 400W Wind Generator. Plus you get three solar panels that are 150W and a 1KW Inverter. This system gives you a maximum daily output at 2520W. The big advantage is that it works when there is only wind power or only solar power available or will work as a hybrid. This combines the best of both worlds. Need Help Making a Decision? Let us help you. No commitments! Rain harvesting, also known as rainwater collection or rainwater catchment, is an ancient practice that we have been using since roughly 10,000 years ago during the Neolithic age and fortunately, it is becoming increasingly popular again. According to the World Health Organization, besides being widely practiced in low-income and mid-income countries, “it is becoming a focus of increased interest in developed countries” as well. Water is one of the biggest environmental challenges that we have on our planet. Our planet’s population is expected to reach 10 billion people by 2050, adding even more pressure on such an essential resource, making the increasing interest in rainwater harvesting great news! Despite being a great eco-friendly solution for our planet, the rainwater, when properly collected and stored, can become a valuable resource to any household, especially in times when water shortage is becoming an increasing source of concern to more and more people in several cities around the globe. Where can we use the stored rainwater? Stored rainwater when adequately treated, can be used to supply all the residential needs including drinking and cooking. Even if not filtered, the collected rainwater can be widely used in our daily lives for activities such as garden watering, car washing, toilet flushing, household cleaning, laundry among others. According to a report from the Water Research Foundation published in April 2016, the main responsible for water usage in the average household is the toilet flushing (24%), shower (20%), faucet (19%), clothes washer (17%) and leak (12%). If collected rainwater could replace just the water used for flushing, it would already make a huge difference! It is the most popular among the more sophisticated residential rainwater harvesting systems, partially due to its relatively easy installation process. It requires a pump within an underground tank. Once the tank receives the collected rainwater, it will pump directly to the locations where it will be used. This method can have a variation with the use of a suction pump within the house instead of a pump in the underground tank. This system consists of having a high-level water tank that will receive the pumped rainwater. Then, the rainwater can reach its destination either by gravity or by using a booster pump suited to serve the desired pressure and flow. 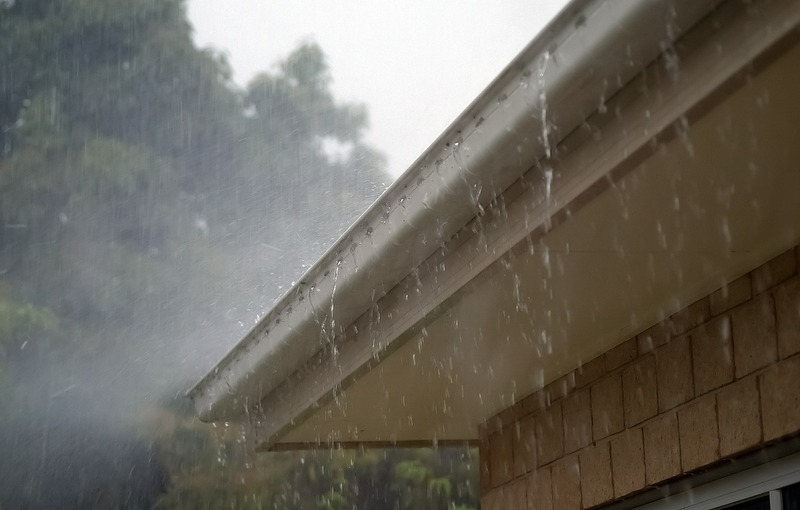 Before you decide to take your initial steps towards building a rainwater harvesting system on your rooftop, you must keep in mind how much rain your home will be exposed to. 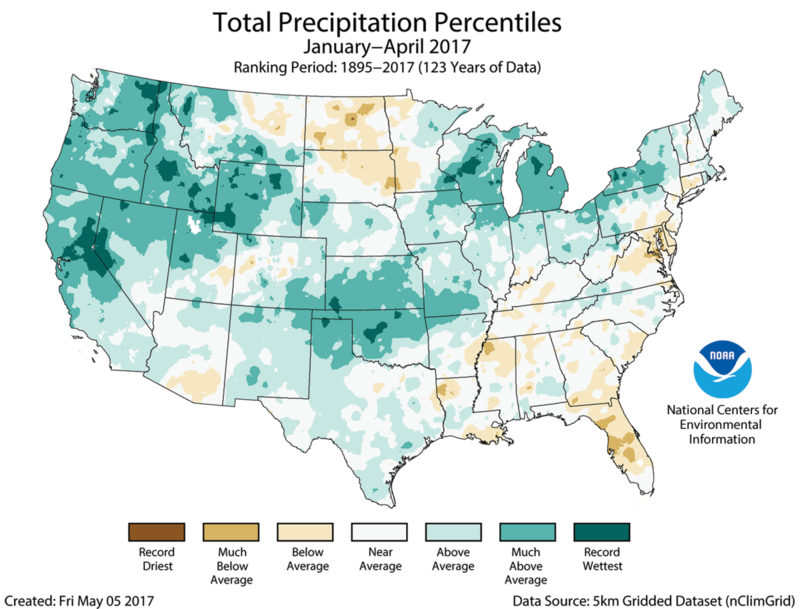 The map below, from National Centers for Environmental Information, shows what regions are exposed to above of average levels of rainfall. Considering that your decision to take one further step to live an off the grid life is taken and your new rooftop rainwater harvesting system is soon to become a reality, ecofriendly.solutions will be pleased to recommend you to the best and most suitable service providers. Please take a look at other great articles that we believe you may like! 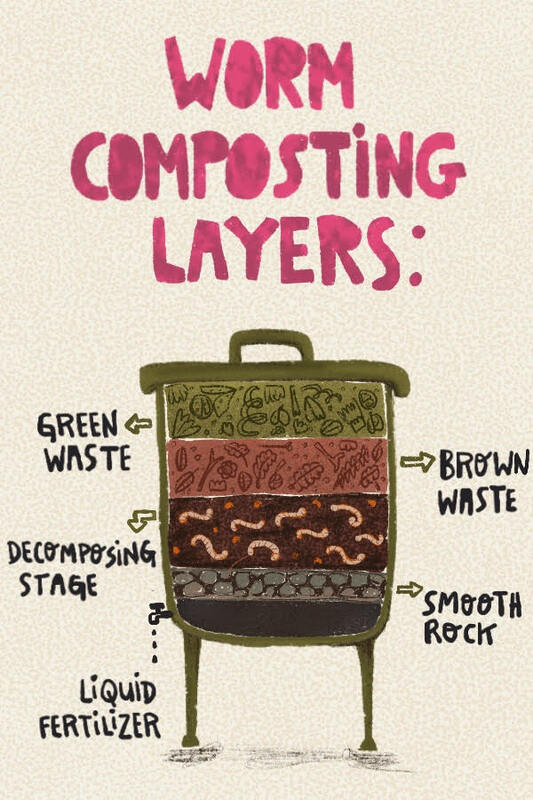 You should know that there are different ways to make your compost. Different types of bins that will use different composting processes. If you intend to go for indoor composting, inside the average home or apartment, there are a few things you may want to consider such as odor and appearance. 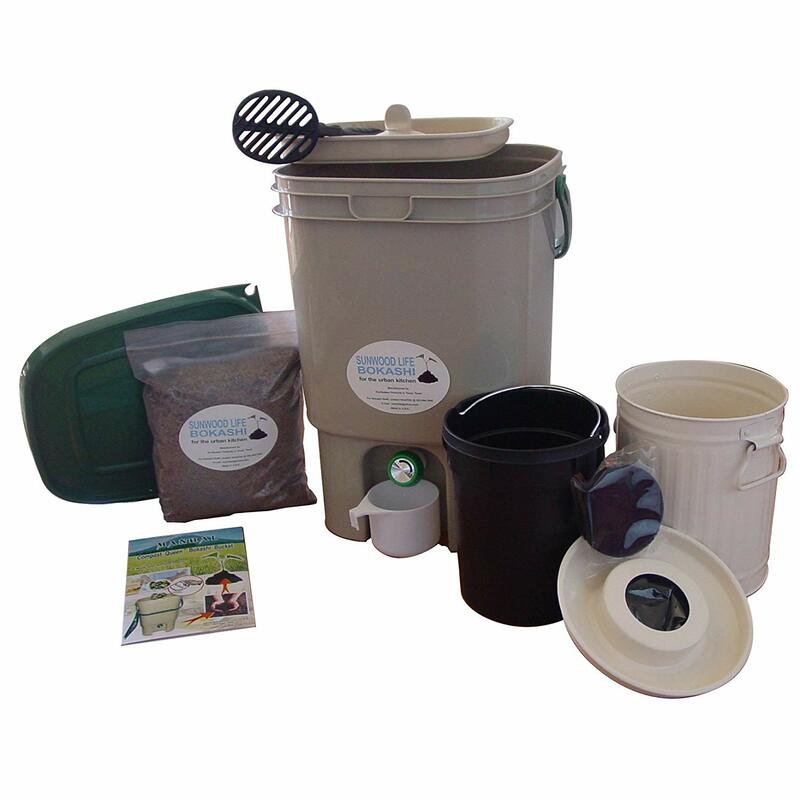 The majority of small-scale composting will use a low-odor aerobic composting method and, for this, it is essential to choose an adequate composting system. A successful indoor compost can be achieved in a few different ways. Using earthworms (also known as vermicomposting or worm composting) is a great way, but not the only one. You can also use electric compost bins or even an anaerobic method with the use of Bokashi (it is a Japanese term meaning ‘fermented organic matter’), where compost will be achieved through a fermentation process. We will not cover other composting alternatives such as tumbler bins as we consider them to be more appropriate for outdoor use. Whether you choose a multi-bin system, bokashi bins or electrical bins, you will be able to get the job done while adopting a lovely eco-friendly solution that will reduce the production of methane from organic waste (organic waste that ends up in landfills will produce methane that, will release carbon dioxide during its combustion). 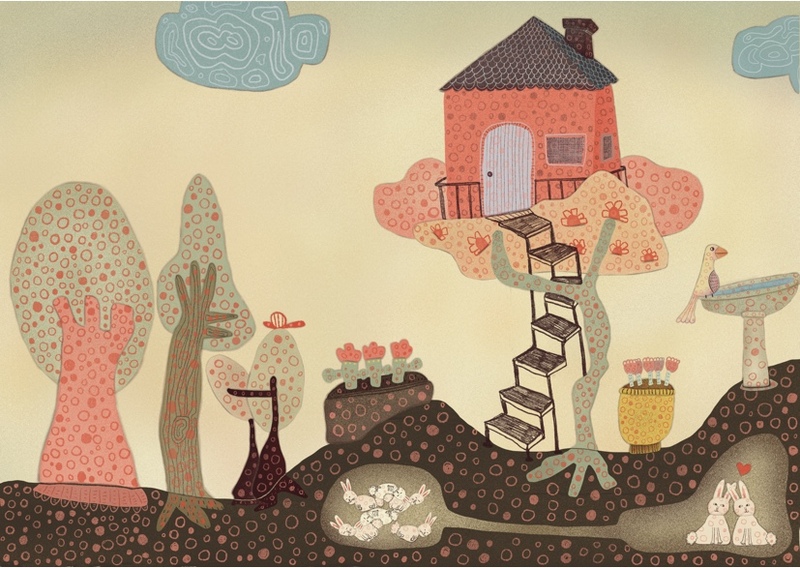 If you want to learn a little bit more about it please take a look at another article that we wrote about composting at home. What we love about the multi-bin system is the fact that you can modularly grow your production as you gain experience. It is also a great way to have a steady compost production since the different bins will always be at various stages in the composting process. The use of worms will make the process faster and low-odor and makes you not need to worry much about the brown and green layers, as long as the first bedding is “brown” and you keep feeding the worms by adding the organic scraps over time. This method is our favorite. 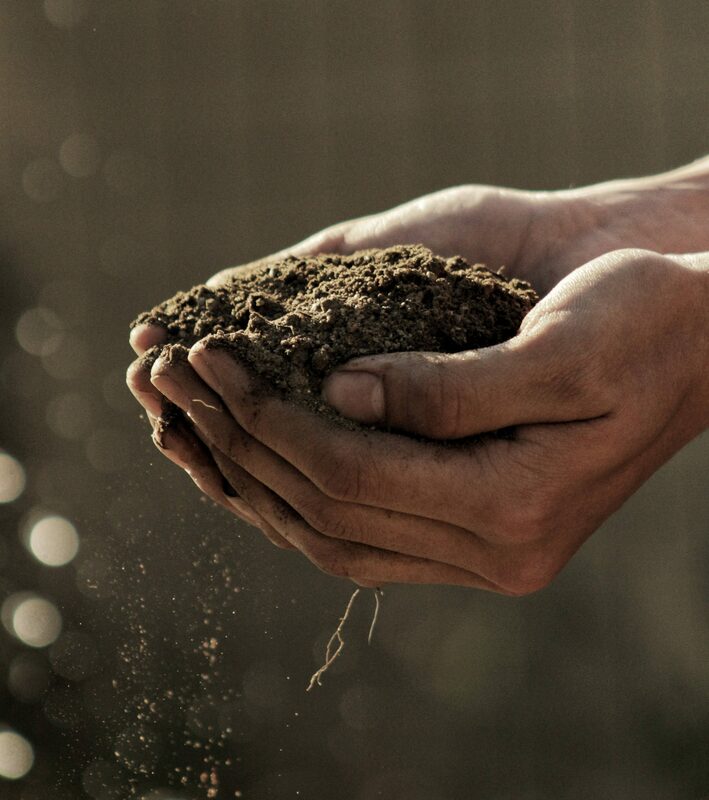 It is as natural as it can be and it can really turn the waste into a rich, dark organic soil that smells like earth. it will provide you with the best compost in our opinion. The Worm Factory 360 is a tall and modular system (you can add new trays if you need) that doesn’t require much room. 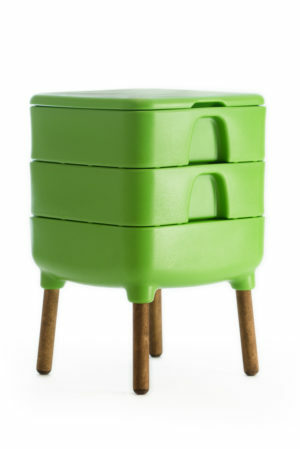 It is made from sturdy recycled plastic making it environmentally friendly. The overall construction is solid. This system is easy to maintain. 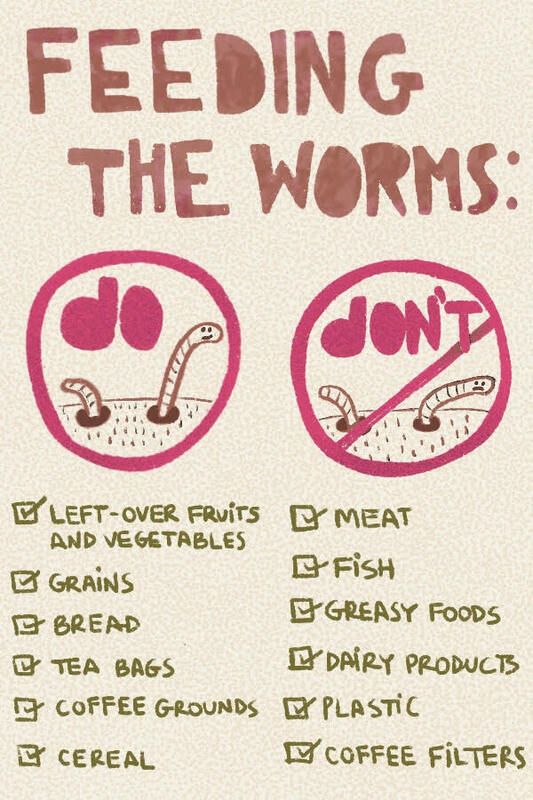 As long as you feed the worms with appropriate organic scraps, you barely need to worry about cleaning it at all! (even though you will need to empty the worm tea periodically to prevent overflow). 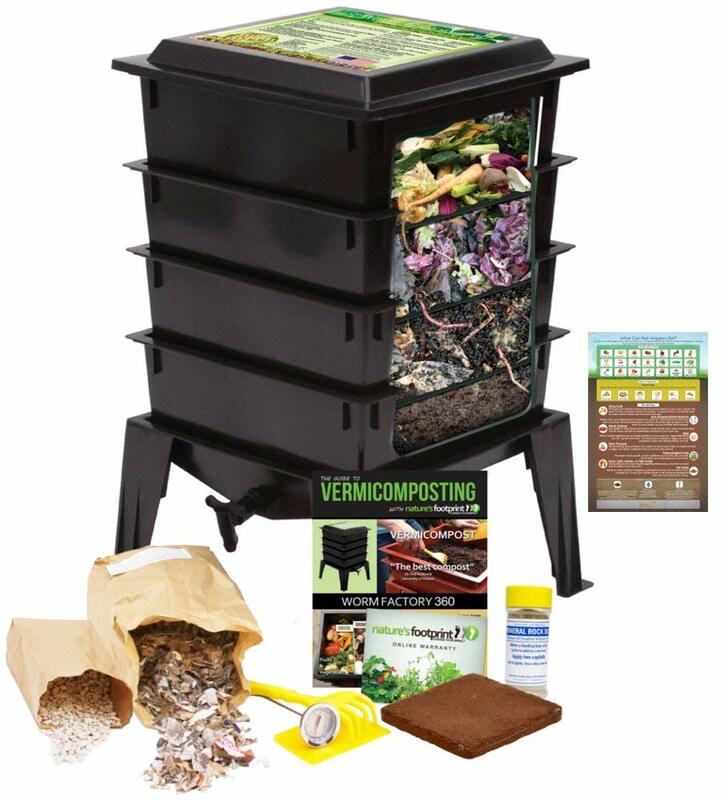 We think that the Hot Frog Living Composter has the most appealing look out of the available multi-system worm composters. The wooden legs give it a unique touch! It comes with three different layers and it is also modular, as new trays can add up together. Each of the top two layers has 40 holes in the bottom so worms can move between the sections. We like the Hot Frog system because, if used properly, it will be odorless but users need to manually remove any worm tea produced during the process. 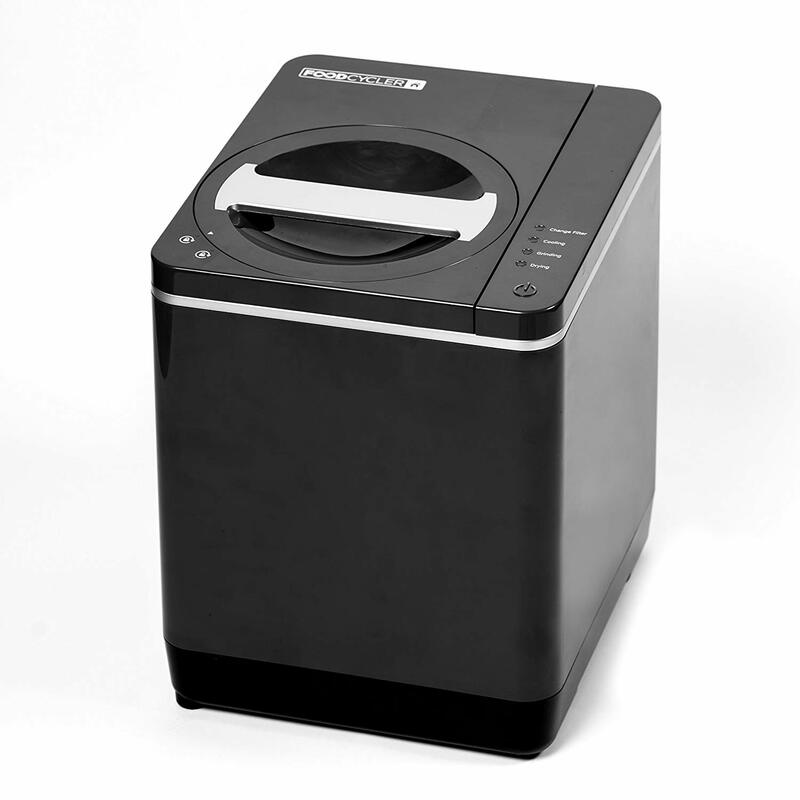 What makes using electric compost bins appealing is the user experience. It is clean, fast, odorless. It does require electric energy, making it not as eco-friendly as other options that do not require a machine doing what nature can perfectly do on its own. 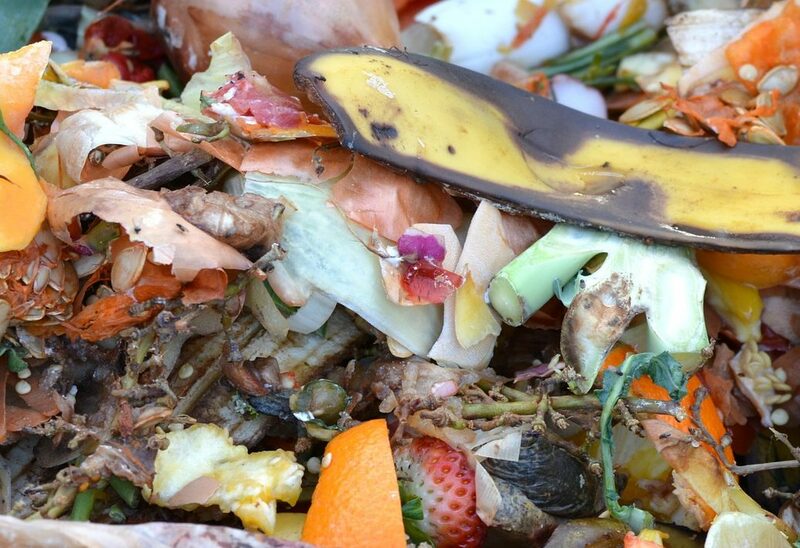 Nevertheless, it is still a good step towards a greener life in a way that you will avoid sending your food scraps to a landfill as a final destination. This kind of composting, however, has a great advantage over others as it allows you to compost dairy, meat and other food scraps that wouldn’t be suitable for vermicomposting. We like this product. It can reduce your kitchen waste up to 90%, breaking it down into a viable soil amendment in less than 3 hours! It is convenient and efficient. It features a monitoring system that will let you know when to replace the filter and has a capacity of 3 gallons per week. 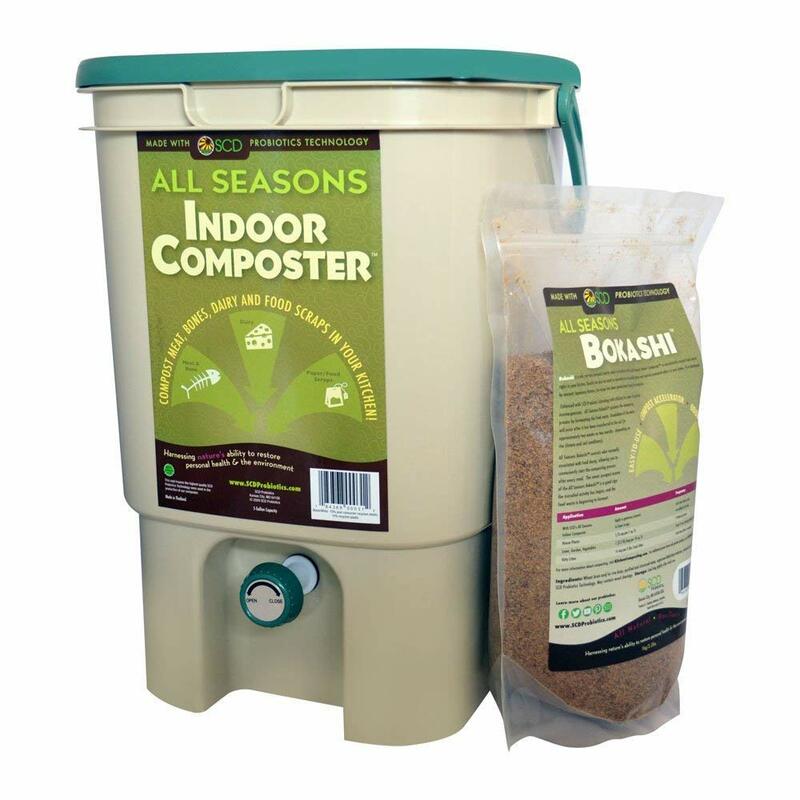 This product makes composting into an odorless activity as there are no draining, venting or additives required. The Compostio C30 is made of an energy-efficient recycled (and recyclable) material that helps to keep the heat inside the unit, optimizing the speed of the composting process. 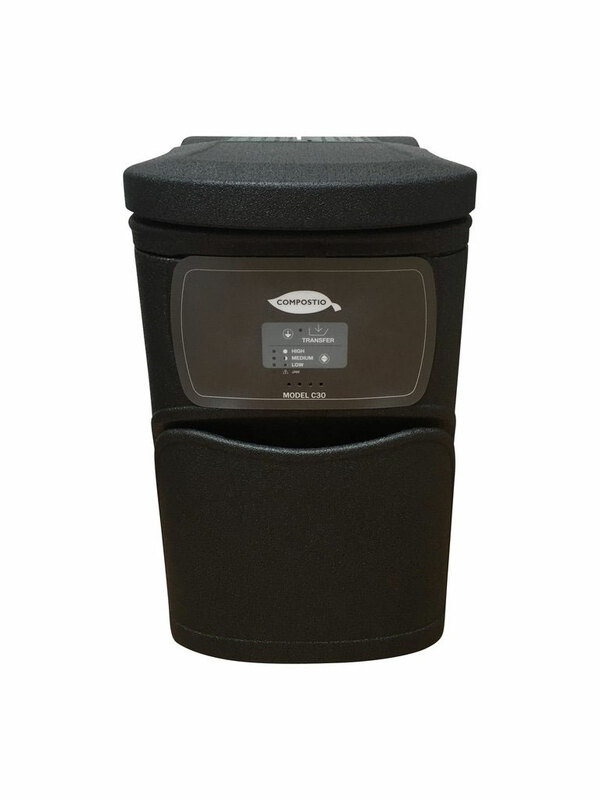 This product can handle 3 to 4 pounds of food waste per day and it features a double chamber system, meaning that you can add up food at any time while the lower chamber will be handling the composting process. The Compostio C30 allows you to recycle meat and dairy in an odorless activity, but it will require the addition of baking soda. Bokashi composting is an anaerobic process that uses inoculated bran to ferment the organic scraps. This method allows you to turn compost meat, bones and dairy as well. Composting with bokashi will allow you to transform your food scrap into a soil builder and nutrient-rich tea for your garden. To compost with bokashi, once the bin is full and bokashi adequately mixed in, it will be sealed and kept it aside somewhere shady. The whole process can take between ten to twenty days, depending on the type of organic scrap that will need to be broken down. Every other day during the process, the leachate, a byproduct of anaerobic composting, will need to be drained out. This liquid can be used as a fertilizer when appropriately diluted. The remains inside the bucket can be either buried or go to another compost bin using an aerobic method. The SCD Probiotics K100 has a volume capacity of 5 gallons, and its airtight lid allows for faster fermentation and decomposing. 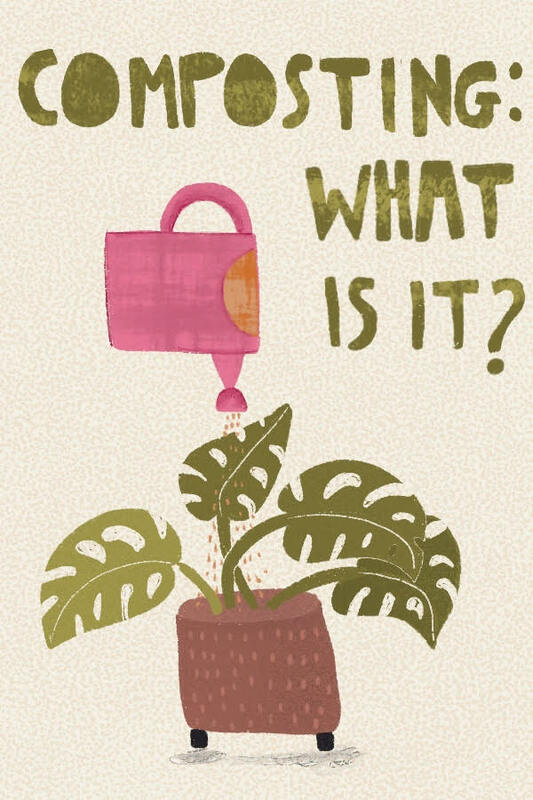 The moisture released by the organic scraps will be drained out preventing spoilage, and a spigot allows for easy removal of liquid compost tea for plant fertilizer. This 5 gallons bucket is made from recycled plastic with ceramic powder, making it very sturdy. Its air-tight lid makes is a good environment for the fermentation process and it comes with a kit containing the essential that you will need to get started. Please take a look at these related articles that you may like! 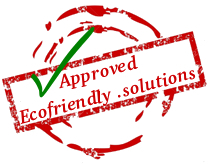 Do you want to find out other eco-friendly products that we love?